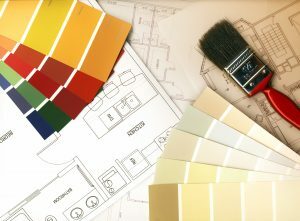 At Premier Indoor Lifestyles, we take home remodeling in Winston Salem, NC seriously. That’s why we offer an extensive list of services that will give your house that little design and space push it needs to be the home of your dreams. Our team of highly skilled licensed renovation contractors are prepared to tackle your remodeling project and ensure the final product meets your design and space requirements. With the wrong contractor, a home remodel in Winston Salem, NC can go awry. Sometimes, even licensed renovation contractors don’t have the necessary experience or skills to fulfill the needs of your project. Luckily, you don’t have to worry about these things, because our team of licensed renovation contractors take full responsibility for filing permits, cleaning up during and after the project, and so much more. We even offer labor warranties, so you can have peace of mind knowing you’ve hired a reliable and trustworthy residential general contractor. At Premier Indoor Lifestyles, we have the mindset that there isn’t a home remodeling project that’s too big or too small. If you have a home remodeling Winston Salem NC project in mind, don’t hesitate to call us to schedule a consultation. During the consultation, our licensed renovation contractors will meet you at your home to tour the remodeling site, hear and understand your vision for the remodel, and contribute their expertise to create a specific plan of how to give you the home improvement service you deserve.